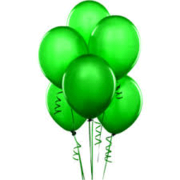 Party Balloons | MyFunHouse.Rentals Powhatan VA.
Add a little color to your big event! 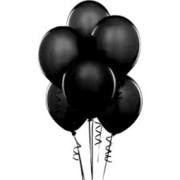 We have 9 inch latex balloons in all the major solid colors - Red, Yellow, Green, Blue, Purple, Black and White. 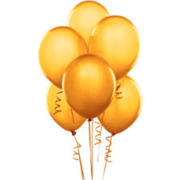 All balloons come pre filled with helium so you need not worry about filling them yourself. If you want to order a special color or combination we can that that too! 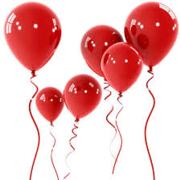 Ballons are only sold together with Bounce Houses. Colors may vary slightly from picture shown.